Within The Mainframe one can have unlimited power and explore how they wish, if they can master the ability to recompile the code around them. In Recompile, from Phigames, players take on the role of an anomaly avatar in the machine. Its a 3D Platformer, with supercharged abilities, which shape the game world around you, with it tweaking and changing as you further specialise your character. If you focus on your shooting abilities then you will need to become more deft and nimble as enemies grow tougher; if you rocket propel yourself away from harm with infinite-jumping then platforms will grow more distant, and if you you hack logic games and solve puzzles then their complexity and vastness will increase. As such, Recompile takes the traditional difficulty curve and applies it to your chosen playstyle. Perhaps best of all, it isn’t just the game difficulty which twists and alters around you, as I said, the game world does too. This fits perfectly with the ‘within the machine’ setting of the game, with chunks of platforms, pipes and blocks popping into existence as you move toward them. It’s really delightful, and coupled with the neon, glowing colours, gives a really engaging, cyberpunk vibe. I played through a demo build of Recompile while at Game Anglia late last year. I especially enjoyed the feeling of being overpowered which came from many of the upgrades. One upgrade gave me the ability to infinitely dash, another the ability to infinitely jump. You very quickly go from feeling like a footsoldier who can tumble to their death in a blind of an eye, to feeling like you have select cheats running. That said, even when superpowered (which the developer explained won’t be so quick to achieve in the finished game) you are still vulnerable. 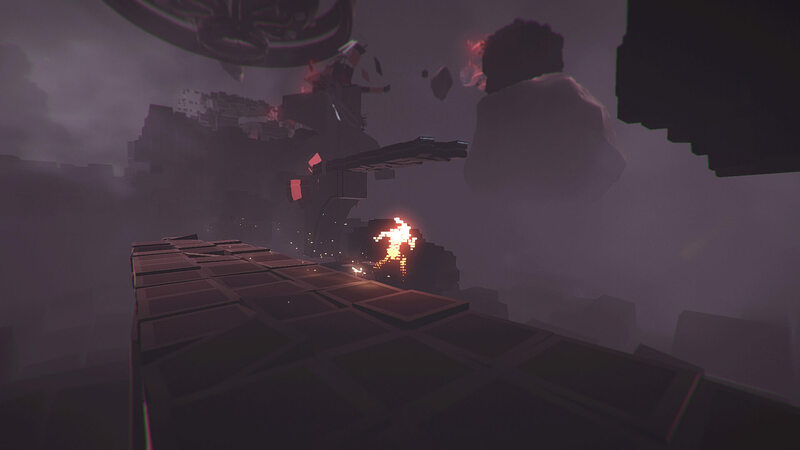 Ranged enemies send deadly beams at your location, traps and pitfalls find their own ways to adapt too. We’ll definitely be keeping an eye on Recompile. While it has already picked up a few awards, a lot of these are based around the extremely sleek demo. We’re intrigued as to how these powers will be spread out, and how widely varied the environment can become as it adapts to your choices. Recompile is currently expected to release in 2020 for PC.